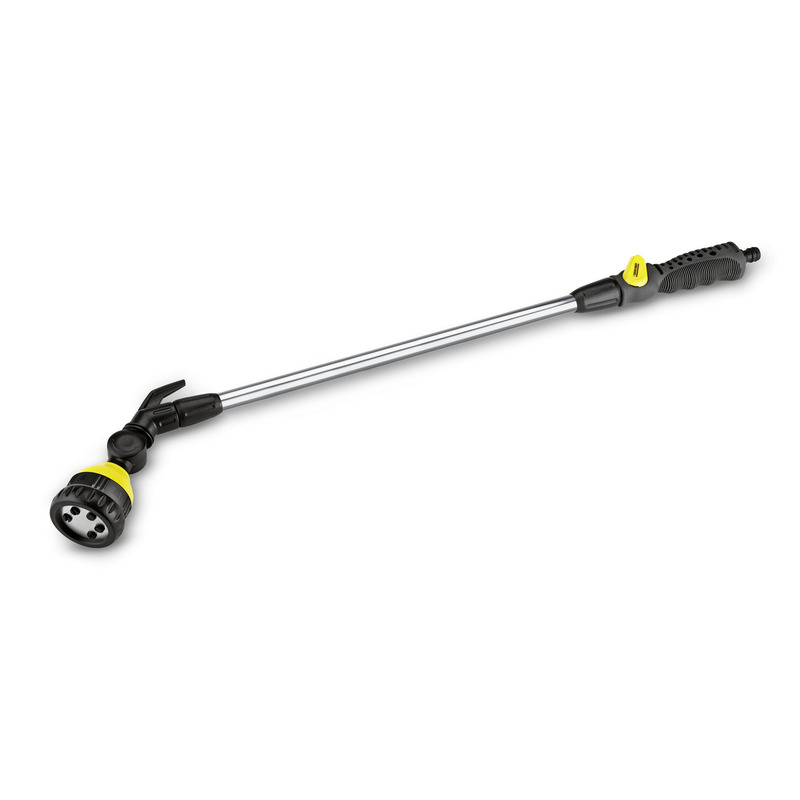 Spray Lance Plus 26451580 https://www.kaercher.com/ie/home-garden/watering-systems/nozzles-and-spray-lances/spray-lance-plus-26451580.html Robust, ergonomic, and durable Spray lance with numerous features in Top-quality. With flexible sprayer head (180°) and 6 spray patterns. For watering small/medium-sized areas. For all garden watering applications, from watering flower and vegetable beds & pots to hanging baskets. Robust, ergonomic, and durable Spray lance with numerous features in Top-quality. With flexible sprayer head (180°) and 6 spray patterns. For watering small/medium-sized areas. For all garden watering applications, from watering flower and vegetable beds & pots to hanging baskets. The ergonomic Kärcher Spray lance Plus combines perfect detail and convenience. For versatile use in the garden. The Spray lance Plus is ideal for watering small and medium-sized and gardens. It is also ideal for hanging baskets. 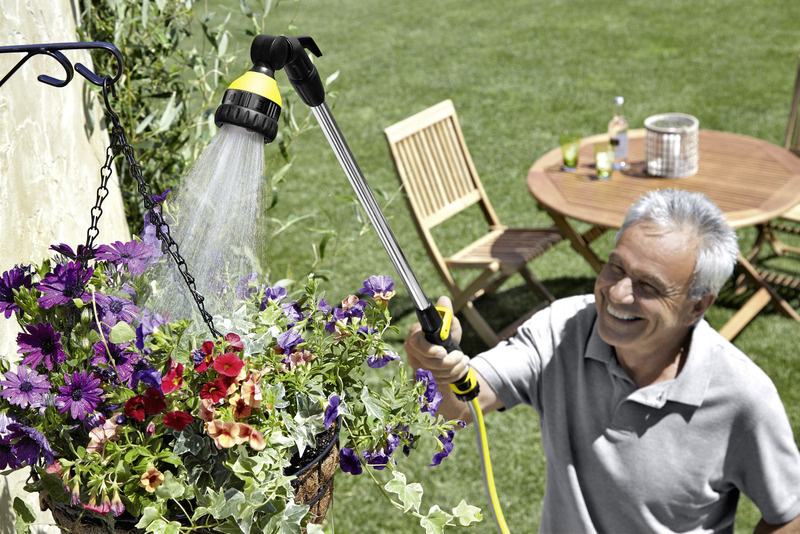 The perfect combination of elegance, first-class features and perfect ergonomic design make the Spray lance Plus from Kärcher perfect for effortless watering even for longer watering tasks. In brief: the ideal solution for numerous uses in the garden. Note: Kärcher spray nozzles and lances are compatible with all available click systems. Features: Variable spray head angle (180°), Convenient one-hand flow control (including ON/OFF function), easy storage on open hook, robust materials, and 6 spray patterns.